Our Honest View : Review: "Oblivion" (2013) "Tom Cruise Is Always Running From Something." 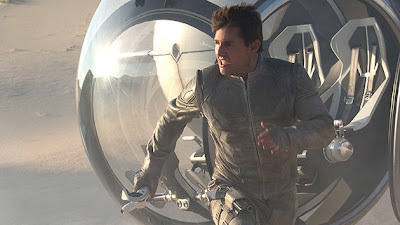 Review: "Oblivion" (2013) "Tom Cruise Is Always Running From Something." 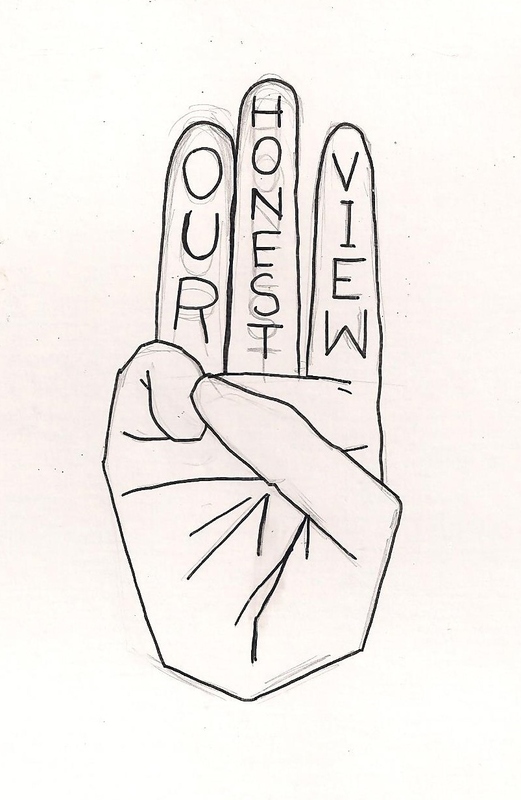 Hello and welcome to Our Honest View! 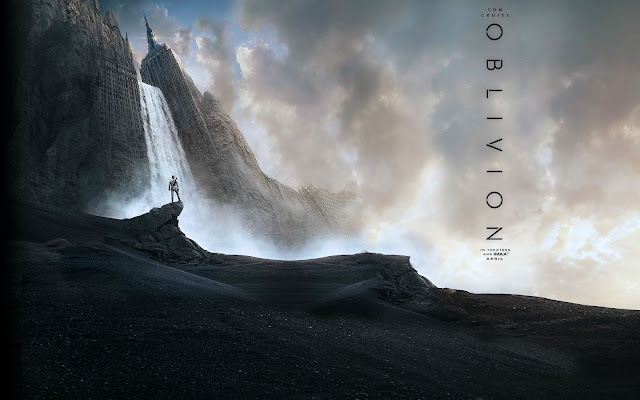 Today I will tell you about my experience with the sci-fi action epic “Oblivion” starring, Tom Cruise, Morgan Freeman, Olga Kurylenko and Andrea Riseborough. In an attempt to avoid spoilers I won't be going into much detail about Freeman's or Kurylenko's exact roles in this movie. A quick summery of the the beginning of the movie is it takes place on Earth in the year 2077, where a group of aliens who are called the Scavengers attempted to conquer the Earth. After leaving their own dying planet they come to ours to take over, this results in the moon being destroyed, and a nuclear holocaust which nearly destroys the Earth, but defeats the aliens. Tom Cruise plays Jack Harper who along with Andrea Riseborough playing Victoria, are two of the last humans on Earth, who after getting a mandatory memory wipe five years ago, are to join the rest of the human race on a space craft in two weeks to live on Saturn's largest moon Titan, once the last of the Earth's resources are drained by basically giant vacuum cleaners. The movie looks great and the CGI is top notch, unlike other large blockbusters where the effects look like they were rendered by a windows 2000. Tom Cruise as Jack gives a good performance and Morgan Freeman is fantastic as always. I enjoy the set-up for the world and it does feel believable. That is to say I don't have my problems with the film. Most of the other actors felt underwhelming especially around two seasoned veterans like Cruise and Freeman. Risborough as Victoria never really caught my interest and it was hard to see why Jack feel in love with her other than she was the only woman with in 10,000 miles. Olga Kurlenko performance also felt weak to me, it seemed they wanted her to be American but she could not hide her accent well and it really showed. The plot is pretty bland and predictable and after the first 25 minutes I was 97% sure I knew exactly how it would end, as well as any twists that were going to come up. Another issue I had with the movie was the running time, it was 124 minutes long and it started to drag at certain points for me that had me checking my phone on the time. Also the abilities of Jack are incredibly inconsistent, as one minute he seems like just a smarter-than-your-average-bear type, but with not much experience in fighting, and at other point he turns into G.I. Joe meets Captain America. 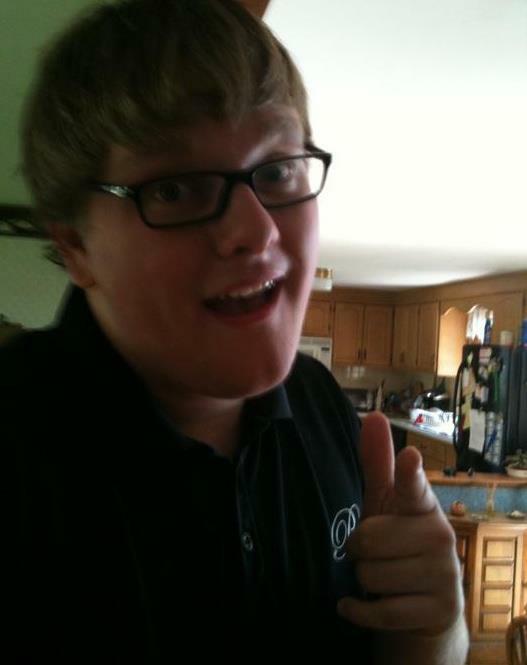 Our Honest View gives Oblivion 7.5/10. It was a bland one at best, the trailers had me expecting more of a sci-fi film in line with the Star Trek series of old, rather than the more action centric blockbuster more familiar with the Star Trek of new. While I feel that both types of films are great fun for different reasons, Oblivion just did not quiet cut the cake for me. 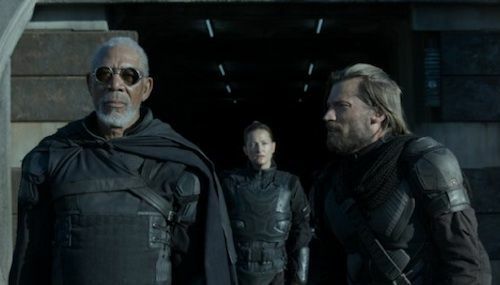 There are some elements of mystery and trying to fit science in with the fiction, but the movie felt the need to pad itself out with random action scenes, probably trying to appeal to a larger audience. What do you think about Tom Cruise?! 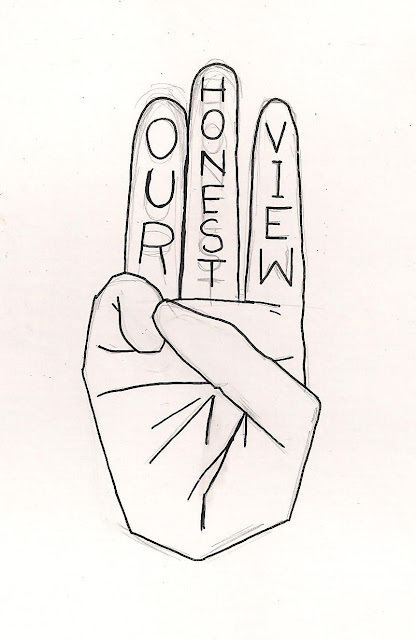 Our Honest View's Pre-VGA 2013!